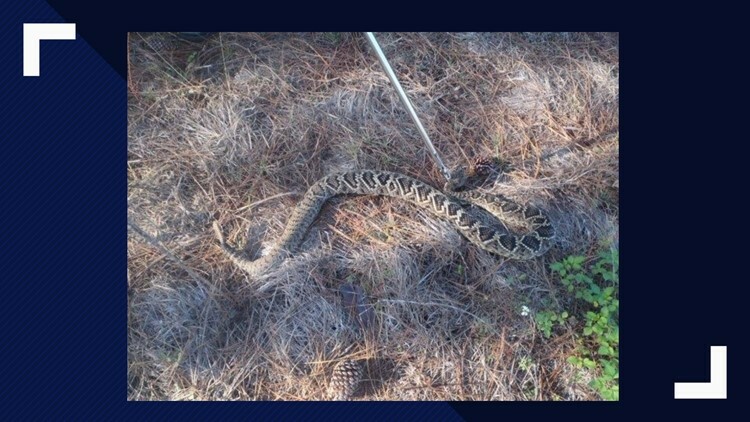 The Pinellas County Sheriff's Office said deputies moved the snake away from the humans on Honeymoon Island State Park. DUNEDIN, Fla. -- It's not every day that deputies from the Pinellas County Sheriff's Office have to play snake wranglers. The sheriff's office said Deputy Reidy and Corporal Boulton helped a homeowner by taking a large rattlesnake away from the backyard on Honeymoon Island State Park. The deputies wrapped up the rattlesnake in a blanket and moved it to a safer place -- away from people.